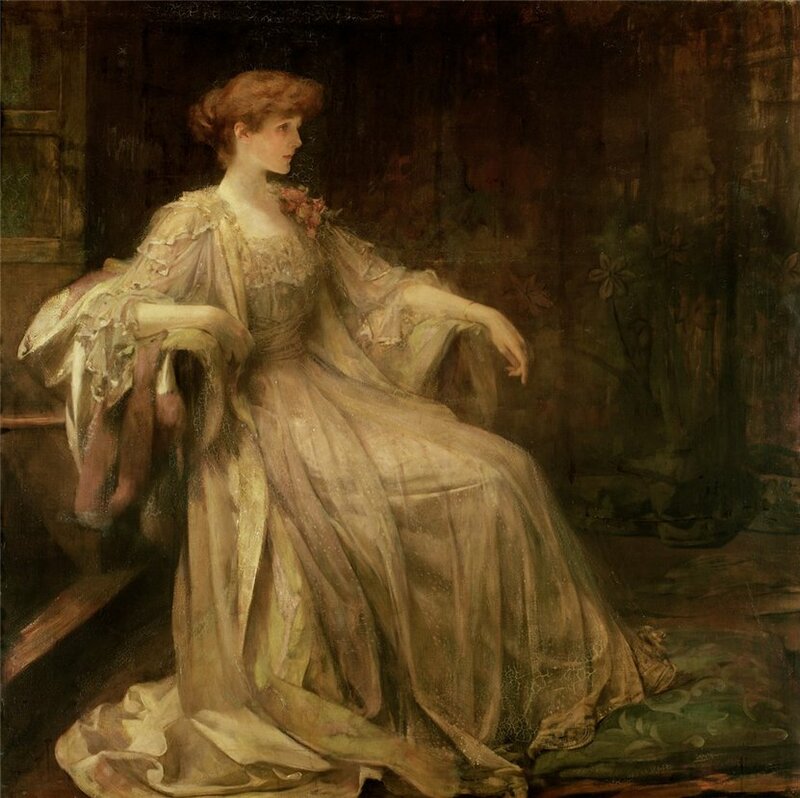 Melody & Mist: "Portrait Of Violet" By ~ Sir James Jebusa Shannon ~ 1862 - 1923. "Portrait Of Violet" By ~ Sir James Jebusa Shannon ~ 1862 - 1923. Sir James Jebusa Shannon, although he was born in Auburn, New York in 1862, moved to London in 1878 to establish his career in England. He studied at the South Kensington School of Art under Sir Edward Poynter, before attracting the attention of the Royal Academy. Shannon later had the honor of becoming a full Academician. Labels: Sir James Jebusa Shannon ~ 1862 - 1923. ~ Violet.